Featuring the nationally famous #3 Waterfall Hole, the East course, designed by Joe Lee, is a par-72 that measures 7,158 from the back tees and features five sets of tees for all player levels. 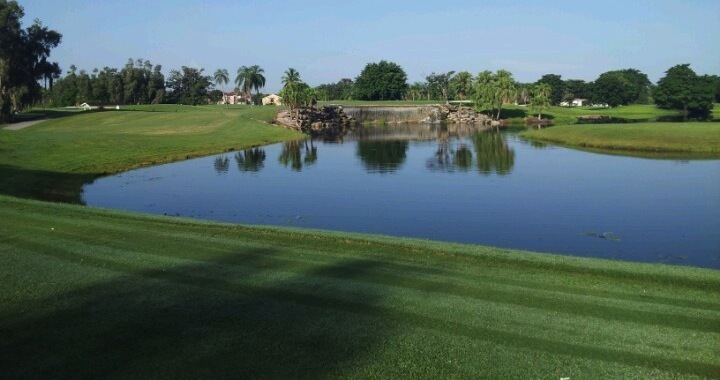 Our East Course is a classic Florida layout with holes routed through stands of mature palms, hardwoods and around numerous water hazards and large bunkers. Guests will find GPS Yardage Systems on all carts and can warm-up on the expansive range, putting and chipping areas. Rates include small bucket of range balls.